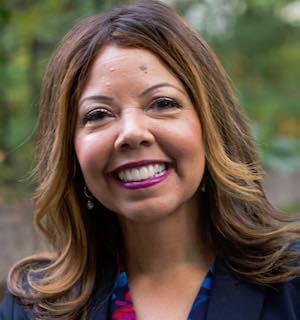 (APN) ATLANTA — U.S. Rep.-elect Lucy McBath (D-GA), a national advocate for gun reform whose son was tragically murdered in 2012, was elected to the U.S. House seat for Georgia’s Sixth Congressional District on November 06, 2018. Her victory was made possible with the help of gun control advocates across the country and a changing Sixth District disgusted with President Donald Trump. An anti-Trump blue wave slowly rolled across the country, putting Democrats back in control of the U.S. House. McBath beat out first-term Republican, U.S. Rep. Karen Handel (R-GA), who was elected in a 2017 Special Election. In the 2017 Special Election, millions of dollars poured in from all over the country and from the Democratic Party to support moderate Democrat Jon Ossoff, a former aide to U.S. Rep Hank Johnson (D-GA). The voters rejected Ossoff, despite his financial wherewithal. The Sixth District, which traditionally votes Republican, includes northern Fulton County; northern DeKalb County; and eastern Cobb County. The Sixth District was drawn by Georgia Republicans to ensure Republican control with some seventy percent White voters. Former U.S. Rep. Newt Gingrich (R-GA) and Tom Price (R-GA) previously represented the Sixth District. McBath, a national spokeswoman for Everytown for Gun Safety and Moms Demand Action for Gun Sense in America, campaigned on strengthening gun control laws. Her seventeen year-old son, Jordan Davis, was murdered by Michael Dunn, a White man who was angry over four Black teenagers playing loud music in their car. Dunn fired ten shots at the car, killing Davis at a gas station in Jacksonville, Florida. McBath believes that gun violence transcends race, age, and gender; and affects all people. She supports the Second Amendment to the Constitution of the U.S., but thinks that background checks and sensible gun control laws are necessary to help stop unending mass murders in the U.S.
Every day, 96 people die from gun violence and hundreds more are injured, according to Everytown for Gun Safety. Women are sick and tired of seeing their children murdered, so they have decided to change U.S. Congress and vote for people who will support gun reform. There has been 307 mass shootings in the U.S. so far this year and Congress does nothing, in part because the National Rifle Association (NRA) that gives millions of dollars to politicians who are afraid of losing that money. In the 2016 U.S. Presidential Election, the NRA spent almost one half billion dollars to elect pro-gun politicians; and gun rights groups spent another 3.2 million lobbying Congress. “We know that more people agree with us in the gun sense movement. In poll after poll, it shows that people want more gun control and background checks” Melinda Ennis, Gun Sense Georgia co-founder, told Atlanta Progressive News. Referring to former Democratic candidates for Governor and U.S. Senate, “Michelle Nunn and Jason Carter would not take a stand on gun control issues but Lucy McBath took a stand,” Ennis said. “I think people are saying we want politicians who are going to take a stand and fight for something,” Ennis said. “The problem is that you have this very, very small but passionate gun rights advocates who are one issue voters. But on the heels of these last two horrible events, people are saying enough …and you are starting to see people voting on the gun (control) issue where they never have before,” Ennis said. On healthcare, McBath understands the importance of keeping the requirement in place under the Affordable Care Act that insurance companies cover pre-existing conditions in healthcare, in part because she is a breast cancer survivor. She supports women having control over their reproductive decisions, equal pay for equal work for women, paid maternal leave to care for newborns, and the Violence Against Women Act. McBath supports the Equality Act to protect LGBTQ individuals in the workplace and in housing, and supports military service people who are transgender. She is concerned about traffic congestion and crumbling infrastructure in her District and wishes to fund public projects to bring roads and transit into the 21st century. Trump said the Midterm Election was about him and he is right: people are rejecting his presidency, with even some Republicans voting against him. Atlanta Progressive News reached out to McBath, but she said she was in Washington, D.C., focused on freshman orientation at this time. The McBath Campaign did not respond to several calls, texts, and emails. In Georgia’s Seventh U.S. Congressional District race, Democrat Carolyn Bordeaux nearly unseated Republican Rob Woodall, losing only by 419 votes or 0.14 percent of votes cast.